There is a huge number of antivirus programs to choose from, so how do you find the best one? Do you use what came with your computer or what your friend recommended? How do you know if it’s any good? One of the first decisions you need to make when choosing an antivirus product is whether you want to spend any money or not. Most antivirus programs are paid solutions that will cost you some money. 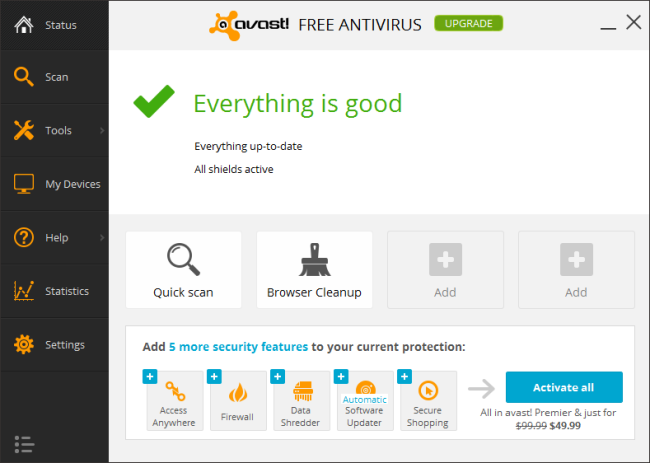 However, there are many good, free antivirus products. You don’t actually have to spend any money to get solid protection. Antivirus products generally have the same antivirus detection features commercial antivirus products do, so they’ll detect and block malware just as well. Paid antivirus products have bonus features and function more as an entire security suite. You’ll get features like an additional firewall, anti-theft tracking, anti-spam features, phishing filters, and so on. These features aren’t really necessary — you don’t really need a full security suite, just an antivirus program. The free products do tend to nag you. They may display the occasional offer encouraging you to upgrade to the paid version. That’s how they make their money; the free version functions as advertising for their paid version. This is the trade-off you make — you’re nagged a little, but you don’t have to pay a yearly subscription fee. We recommend sticking with a well-known antivirus product from a reputable company. For one reason, the antivirus product will be subject to scrutiny and will appear in antivirus tests, so you can get some idea of how well it performs. If you use a very obscure program, you won’t find many tests for it and you won’t really know how well it’s working. More dangerously, some malware disguises itself as antivirus programs. 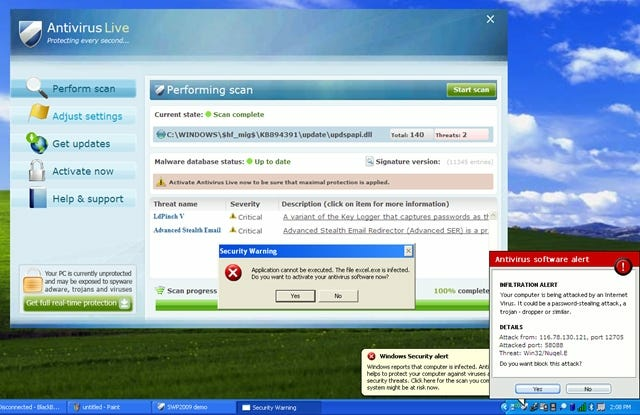 “Fake antivirus” malware may use names like Antivirus Live, Advanced Virus Remover, and Internet Security 2010. These forms of malware pretend to be legitimate antivirus products, but are actually malicious and doing nasty things in the background. Choosing an unknown antivirus puts you at risk of getting infected. Stick with well-known, reputable antivirus software. We’ve covered a variety of different websites where you can find antivirus test results. Foremost among these is AV-TEST. AV-TEST performs regular tests of antivirus products, ranking them based on their protection, performance, and usability. This tells you how successful they were at blocking the malware samples given to them, how well they performed while doing so, and how easy their interfaces are to use. 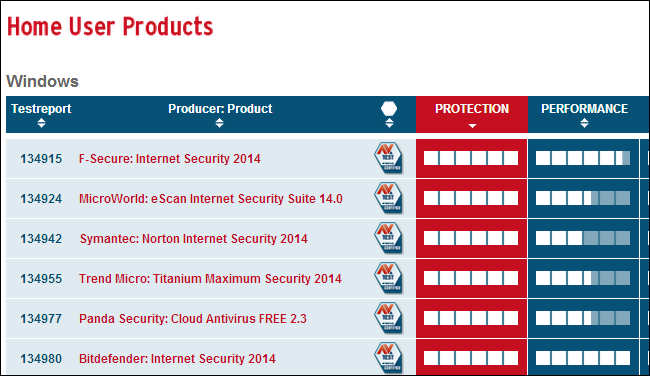 Head over to the AV-TEST site and look at their recent test reports to see how well antivirus products are performing. If you’re already using an antivirus, the tests can show you how well it’s performing. If you’re looking for a new one, you can see the most effective antivirus products and start from there. There’s no single best antivirus. Even if we could pick a single best antivirus right now, the test rankings vary, so the best one now may not be the best next month. If you check the AV-TEST site for Microsoft’s free antivirus product — included as Windows Defender on Windows 8, or available for download and as Microsoft Security Essentials for earlier versions of Windows — you’ll notice something a bit surprising. Windows Defender or Microsoft Security Essentials appears at the very bottom of the list with a zero detection rating. It’s considered a “baseline,” so every other product here is ranked as how much better it is than Microsoft’s free antivirus. This is just another way to say Microsoft’s antivirus product was the least effective product tested, according to AV-TEST’s results. Before it became a “baseline,” it was consistently on the bottom of the charts. What’s going on here? Well, it’s complicated — Microsoft’s free antivirus once did very well in tests and gained a lot of love from geeks. It has fallen in the rankings over the years and Microsoft has made some contradictory statements, with one Microsoft employee recommending you use a third-party antivirus in an interview and another Microsoft spokesman saying Microsoft still recommends their own antivirus product afterwards. The reality is that you can get by with Microsoft’s free antivirus if you’re a geek or a knowledgeable computer user who knows what you’re doing. However, if you want the most fool-proof protection possible for yourself or if you’re installing an antivirus program for someone who isn’t too knowledgeable about computers, you’ll probably want to avoid Microsoft’s product and use something more effective. If you’re using Windows 7 or Windows Vista, bear in mind that the Windows Defender included with these versions of Windows is not an antivirus product. It’s an anti-spyware program that doesn’t protect you from malware. 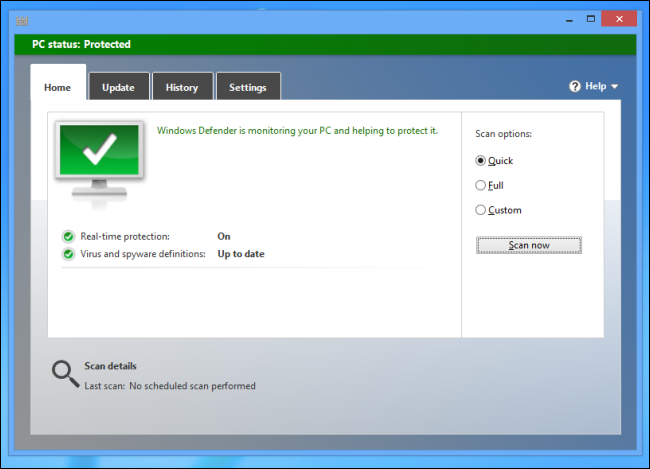 Windows Defender is only an antivirus product on Windows 8, not on earlier versions of Windows. Choosing an antivirus product isn’t the end of securing your computer; it’s only the beginning. No matter how good your antivirus, no antivirus is perfect, and the occasional piece of malware may slip through. You’ll want to exercise basic computer security practices so you can keep your computer secure, minimizing your computer’s exposure to malware and reducing the risk that your antivirus will catch something. All of the above information is only for Windows. You don’t need an antivirus on a Mac, nor do you need one on Linux. And an anti-malware app definitely isn’t necessary on Android. This assumes you’re not downloading pirated Mac, Linux, or Android software from shady websites, of course — if you are, all bets are off and you’re vulnerable to infection.